Home Shows! I love them and I hate them! There is the build up: "Can I really sell my business?" "How will I arrange my booth?" "Will I spend a small fortune?" "Will I create something outstanding?" There are the people: some new and some that I see only at these events. And then there is post show: "Did I perform to the best of my ability?" "Were connections made?" I have already written about my experiences of doing a home show (see this) but this time every year I start to wonder if I should give it another go. 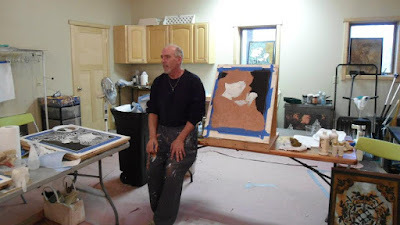 I love the challenge, coming up with ideas for the booth and creating some great finishes. What I hate are the many hours of low event attendance and the repeated questions about what kind of wallpaper I am selling or the comments from some announcing how they also "do" "fox" finishing. More about that later! The first event I worked was in Minneapolis in 2002. The booth wasn't mine, it belonged to a friend who was at the time working as an Interior Designer and she let me display a portfolio of some of my work for a small fee. As a novice, I kept thinking "Would anyone hire me?" "Am I worthy?" As it turned out, this booth needed major improvements, to say the least! After part of the first day, I also realized that the booth was out of the main line of traffic. Home shows can be a great way to generate a presence in the community for your services because people can ask direct questions and see samples of your finishes. Sharing a booth is an excellent way to cut down on costs or to increase the size of your booth. Other exhibitors can be an excellent source of support, contacts and knowledge. Home Shows can be an excellent source of leads and referrals for future business. Too many different types of finishes can be confusing. enough staff to work the show. Be Kind and talk to everyone. Don’t sit down. Don’t leave drinks and food around the booth. Never be a jerk or act like someone can't afford to buy your services. Looks can be deceiving and even if they can't afford to hire you or aren't interested, maybe they have a friend who can and is. In todays age of social media one person’s disgruntled voice can carry far and wide. My first home show I had a few people who made "I can do this myself" remarks. Admittedly it did take a lot of tongue biting, but I just smiled, handed them my card and told them to give me a call if they needed help. Several months later one of them did call and her call led to a several thousand dollar job. Invite your clients! Send out invitations to your past clients and invite them to come take a look at your latest finishes. Don't demo finishes! I am retracting my advice for doing demos. 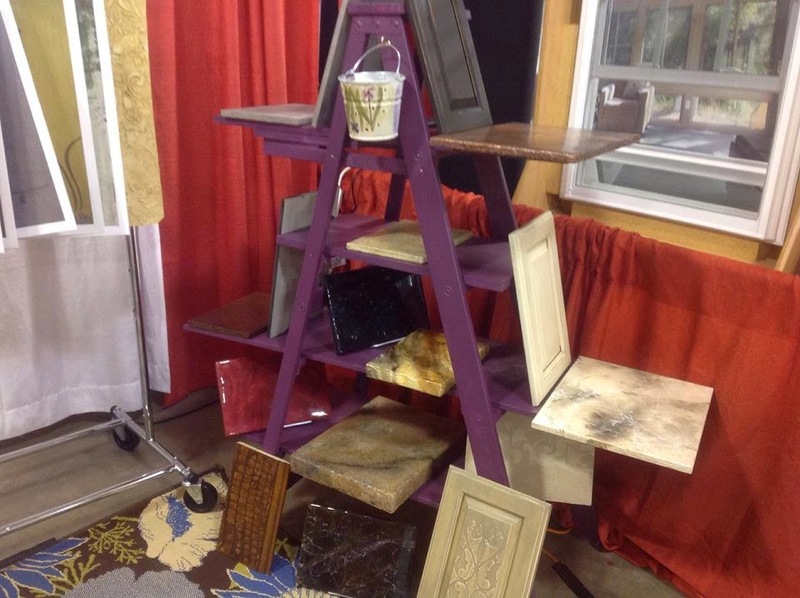 Several years ago I thought it was ingenious to have an easel at the home show and do demos all day. What a great way to get people to visit my booth and help pass the time during the dead times. WRONG The only thing I really got was a LOT of people wanting to know how I was doing the finish so they could do it themselves at their own home. Another thing I noticed, and maybe it is just for my area, but the ones who actually hire me to do finishes for them, really don't care how it is done, they just want it done. Have you done a home show? What has worked or not worked for you?